"Up In the canopy, baby animals wake to a bright new day." So begins a remarkable journey to the sights and sounds of the rainforest for young readers aged 3-7. Factual text and authentic photographs show plants and animals of the rainforest throughout a day from morning to night. 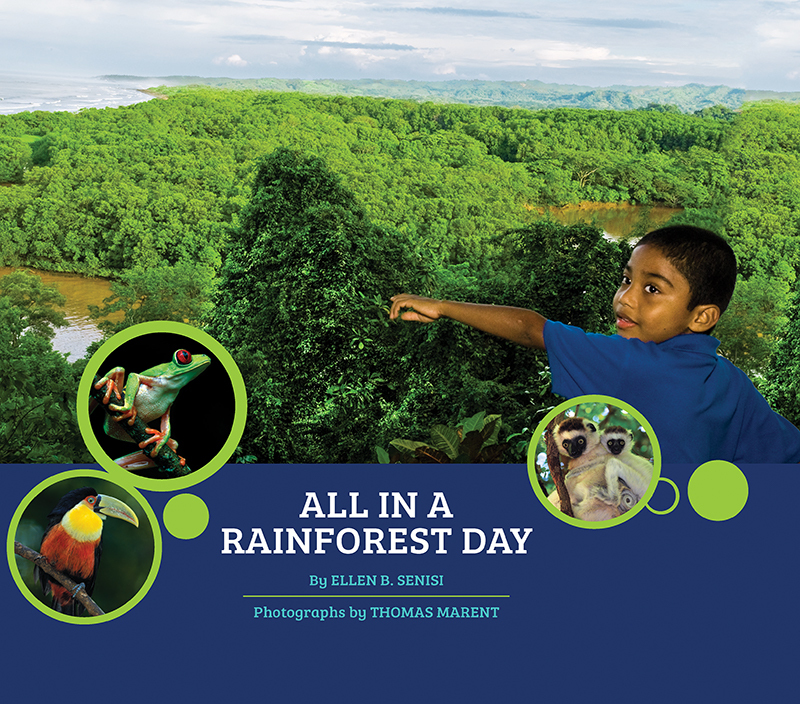 Lively text by author Ellen Senisi comes to life with wildlife photographer Thomas Marent's amazing and authentic rainforest images. Marent has been photographing in rainforests around the world for twenty years. Back matter shows where photographs were taken and identifies flora and fauna shown on each page. All in a Rainforest Day opens the door to a world of wonder and appreciation of nature. Multi-copy pack useful for paired reading and reading groups. ​Dimensions: 8" X 10" X .625"